After the bombardment of Manaan's surface cities and structures by the Empire, the Selkath became deeply untrusting of offworlders and once again withdrew to the depths, from which it was believed they would never return. But with the demand for Manaan's healing fluid kolto at an all-time high, it would only be a matter of time before outside influences would attempt to reestablish contact. A diplomat from the ocean world Dac, Advocate Mahreen, spent several years convincing a delegation from the Selkath's protective Order of Shasa to even meet with her. Over time, and with Republic pressure mounting, Mahreen was able to coax the order into converting one of the few existing surface platforms into the Mercantile Plaza. There, the Selkath could provide kolto in exchange for much-desired goods from across the galaxy. 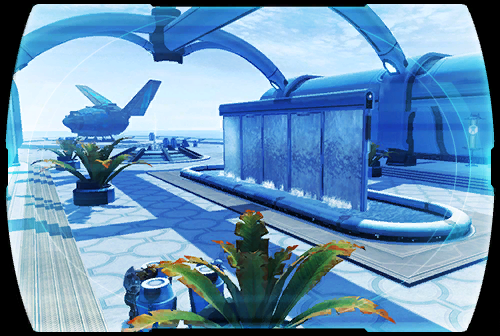 The denizens of Manaan found the plaza to be successful enough that, despite protests from the Republic, a trade relationship was soon reestablished with the Empire, thus clinching the planet's status once more as a strategic imperative.